DONETSK, February 3. /TASS/. 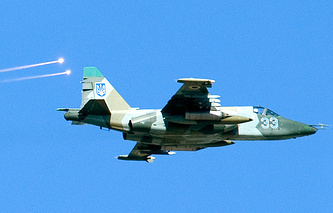 Militiamen of the self-proclaimed Donetsk People’s Republic (DPR) have shot down two Su-25 Frogfoot close air support aircraft of the Ukrainian armed forces, DPR Defense Ministry spokesman Eduard Basurin said Tuesday. "Today at 14:25, air defense units of the armed forces of the Donetsk People’s Republic shot down two Su-25 attack aircraft that were dropping bombs on the northern and northeastern outskirts of Debaltsevo on militia positions," Basurin said. He said one aircraft fell one kilometer southwest of the inhabited locality of Komissarovka in an area controlled by militiamen. "The second attack aircraft fell in the vicinity of the southwestern outskirts of Chernukhino, where the enemy is currently making attempts to counterattack our positions," the spokesman said. He said one pilot managed to eject. 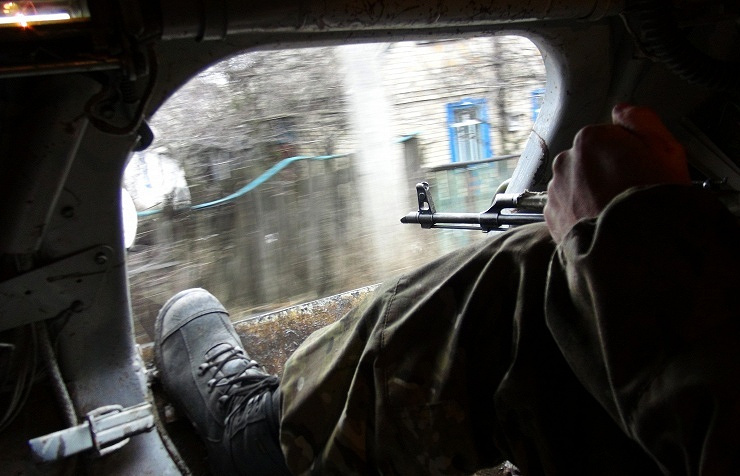 "DPR army reconnaissance groups are searching for him now," Basurin said.